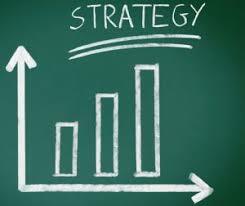 In order to make the most of your stock buying pursuits, putting together a sound investment strategy is recommended. Some people think it is easy to invest in companies and receive a mountain of riches, but this is not the case. Investing takes careful planning, strategy, and knowledge. The following article should provide you with good advice and tips to form a proper investment strategy that targets good results in gains with minimum profit loss. Stocks are more than paper used for trading. When you own stocks, you become a member of the collective ownership of that specific company you invested in. This gives you dividends, as well as a claim on assets. In many cases, you can vote for the board of directors. Don’t let greed or impatience control your decisions when it comes to investing in the stock market. Buying low and selling high is a common saying because it makes sense to buy a stock when there’s a higher chance that it will rise in price, even if you have to wait for a while for that to happen. Doing a lot of research on different companies, and the overall stock market, will only help you gain the knowledge to have a better understanding, and confidence, in buying stocks that will perform well as long-term investments. It is a good idea to also have a better understanding and reasoning before you sell your stocks. People normally have one of two reasons for selling their stocks: they need the cash or it’s a market reason. Typically, someone will sell their stocks when the market is extremely favorable, and they stand to make a large profit. On the other hand, it may be a case that their risk tolerance level has been reached. At some point, it’s a good idea to go with your gut. Don’t hang on to stocks because you think you have to, only to regret that decision later. But you should also be patient and give stocks that still show good earnings potential to take their time in achieving stock market gains, unless you need to take money out of the market to be more liquid due to bills that need to be paid or perhaps to make a real estate deal. If you want part of your portfolio to stay ahead of inflation, general stocks are your prime opportunity. Over the last six decades, annual stock returns have averaged around ten percent. That has been well ahead of bond yields and average real estate earnings across the United States. A balanced stock portfolio across the market is historically the best proposition for growing wealth, whereas handpicking stocks or sectors might not generate the same results. Many people who are just starting with stock market investments purchase mutual funds. Mutual funds are usually low risk investments due to their diversification. The beauty of mutual funds is that you obtain a nice range of stocks, and you have a professional who is conducting all the research on the different companies in each fund’s investment portfolio. You can choose between more aggressive or conservative funds, or mutual funds that track to stock market indexes like the S&P 500. You can save money by trading online. Search online for firms that offer online trading and read independent reviews of these different websites. Most often, their fees are much lower than traditional brokerage firms. A regular broker will usually charge a high commission just to make a simple stock trade on your behalf. With online trading, you will have to do more work to buy stocks, but you also will have more control of your investments and, most often, get better reporting on how your stocks are performing. If possible, you should target paying between $7 and $10 per trade. If you want to do more complicated stock purchases, then you should use a brokerage firm to purchase stocks. This can be for a number of reasons, but could include buying from a Direct Investment Plan or Dividend Reinvestment Plan. If you do not think you can afford a brokerage, there are many discount brokerages available. Just be aware that many of the discount companies do not offer Direct Investment Plans. As stated before, people sometimes think that they can simply invest in companies and expect money to fall from the sky. However, this is not true, as many people soon figure out the hard way. Proper knowledge, such as the knowledge from this article, are needed to form an effective investment strategy. All you have to do is put in the work and apply it.